As I have said on a previous posting, the big surprise in London was that the Labour vote did not collapse despite many predicting that it would. One of the outcomes of this, and the Local Elections being held the same day as the General, is that Labour did very well in London Local Government. They now have control of Hounslow, Ealing, Harrow and Brent amongst others. In Hounslow, Conservatives did not lose a single seat – in 2006 there were 23 Conservative Councillors returned and this figure increased to 25 last week. However, every single other Independent and Lib Dem lost their seats and were taken by Labour. I am thrilled that we have added Liz Mammatt and Colin Botterill to our Group. Liz is simply one of the best people I have ever met. Genuine, very hardworking and kind. Colin is keen as mustard and I predict a big impression in both Feltham West and on the Council. The Council lost some very good and intelligent people such as Peter Hills, Linda Nakamura, Phil Andrews, Paul Fisher, Genevieve Hibbs, Jon Hardy, Shirley Fisher, Caroline Andrews & John Connelly. All except Genevieve lost their seats at the election (she stood down before and looked really well last Thursday, which was great to see as she has had health problems). Every single one of these people worked so hard for their residents and on the Council and I will miss them. Andrew Dakers, John Howliston & Drew Morgan-Watts are no longer Councillors. The latter two stood down. 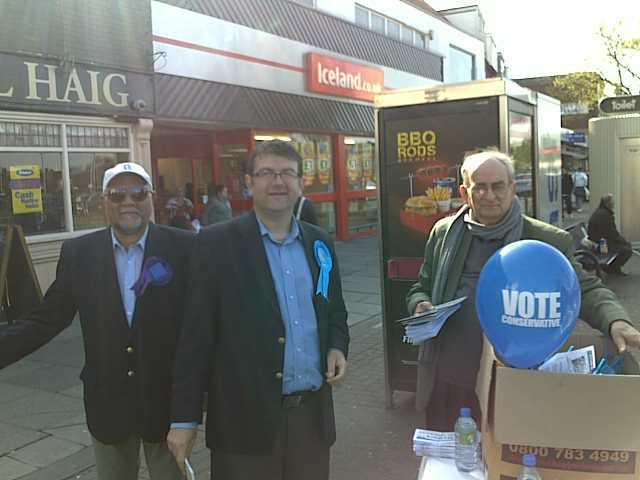 Drew is a very nice guy and John made a big impression in Bedfont and clearly had a personal following. Andrew Dakers, like me, stood in both elections. I was able to win in one and he was not so fortunate. Again his conduct was so impressive and he can rest for a period in the knowledge that he made an impressive mark at the Council. One of the less pleasant features of politics is that you sometimes see people you like losing their seats, not necessarily from the same Group or Party. The six who lost in Isleworth and Syon were especially gracious in defeat. They will always have my respect, reinforced by such dignified behaviour in what are difficult circumstances. Former Councillors, Shivcharn Gill and Sukhbir Dhaliwal (who stood in Feltham North) were always very courteous to me and I wish them the best for the future. I would like to thank my three Labour opponents in Feltham North for standing on the platform for the formal declaration of the results. This was my third election in Feltham North and the first time I have experienced the Labour candidates standing on the platform for the declaration. I wish them all the best. A number of people have contacted me expressing surprise at the local election results, especially considering the performance regarding Council Tax, improved local parks and massive removal of graffiti. Naturally, I am really sad that we cannot continue the work that we started, as we never promised we would crack everything in four years. Peter Thompson was simply a superb Leader of the Council and so well suited to the position. It was a privilege to have been his Deputy in administration for four years and for two years in opposition before that. Action on crime with 100 uniformed officers on the streets in this area and CCT in crime hotspots. Extra cash for local schools to improve standards and new school places to give parents a better choice. A new business partnership with local businesses and housing associations and build 2,500 affordable homes to rent or buy. A 24/7 team of Grime busters to tackle graffiti, litter and dumped rubbish-and a direct dial telephone number for immediate action. A fresh war on waste and a council tax cut for all residents. If they deliver all the above, and do not compromise recent improvements or front line services at the same time, I think that we can all be very pleased. There are people who say that some of the above are impossible to deliver. My view is that the promises have been made so Labour deserves the chance to deliver. I congratulate Labour and wish them well in delivering the above. When I get some spare time, I will scan the web to see if any other new administration has made such exciting promises? Here is the Manifesto from the Hounslow Conservatives for the Local elections. Here is the Manifesto from the Conservative Party nationally. As for Feltham North, only the three Conservative candidates live in the ward. But our approach must continue to be not to take anything or anyone for granted.